Property investment Tenerife? Is it safe? What about other places in the sun? Property investment Tenerife is still sound and safe, above all in the long term, as off 2009. Of course, there are exceptions when reselling may be profitable without waiting too long. Property investment Tenerife example in 2015. The value of real estate rose tremendously in the last years until 2009 when it plummeted. Now by 2015, the situation seems to have started to improve somehow for sellers and is all the more fortunate for buyers. A long story... Times will change again. Personally, i had found the Spanish measures extremely harsh, such as the doing away with tax deduction incentives for real estate in 2014, to name just one example. But, those government strategies paid off. Now mind that it's not too late to jump onto the band wagon for a good investment with real estate. Prices are still low. They have mainly gone up in big towns like Madrid and Barcelona and sometimes on Spanish coasts, such as even in Tenerife South. Times have not been better for investing on the biggest Canary Island since the Eighties. Many property bargains are there for discerned investors, now. Constructors don't have it easy any more to sell off Tenerife new developments. Amazing offers with attractive conditions can now be negotiated with them. Also, lets not forget that luxury property will always find the right buyer. Then there are Spain banks which sit on the bulk of Spanish housing. It's very much like with shares. So much happens all the time. All that counts is to balance out the pro and the contra. In 2012, IVA (kind of a value added tax) for new property in Spain that had been temporarily lowered to only 4% went up again to 10%. By the way, no IVA for resale property applies in Spanish provinces. Here is a good chance for profit. Also, new factors have come into play such as a stronger GBP. For example now in October 2015, Tenerife real estate that costs € 75000 can be purchased for a mere GBP 55000, such as the apartment in the photo above. Investing in Tenerife will often be preferred compared to other European property investment when it comes to indisputable best climate and weather. Another important reason is that vacation lets on the island are a hot topic for investors. Tenerife holiday rental during the island's mild winter has great demand. The ideal is to rent out legally from three months onward. This is best done with free standing properties. Permission may be applied for. Alternatively, some apartment building managements and even hotels let you join a rental scheme. Otherwise, mind that friends or even business visitors are usually only too happy to stay in their own little house or apartment on your property, as this saves so much valuable time. That means that nothing is really cast in stone in the end. Two apartments were sold at good prices to happy renters in March 2008 in Romantica-2, Los Realejos of Tenerife North. Of course, the price situation changed in 2009. Now, investing is even more in favor of buyers. Property investment Tenerife in 2008 was still doing very well for both buying and selling. Property prices as per Themovechannel.com showed a 7.5% increase in Tenerife for 2007. A property costing €203.00 went up to €219.000 for example. Another for a 36m2 hotel studio by Puerto Cruz had two buying offers with an increase of 5% between Easter 2007 and summer 2007. Because of higher mortgage rates alone, this should have been the other way around. January 2008 was showing record figures for tourism on the island. Property inquiries were tops for Tenerife from autumn 2007 onwards right into winter 2008. 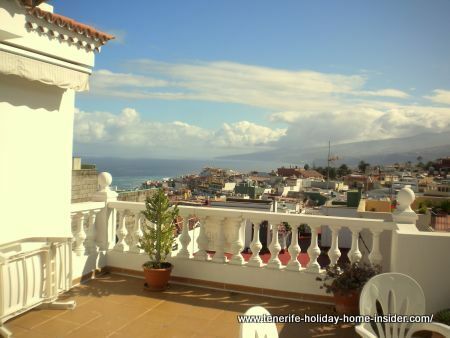 Property investment Tenerife for letting is very interesting because of a big demand. The general gentle weather and good sunshine with soothing winds are the main reason. An other interesting factor for property investment Tenerife are its cheap flights to the island done by various airlines which makes for healthy competition. Its culture is an additional bonus for any investor. Also, the island has very little crime which is a great plus for property investment Tenerife. Furthermore, its infrastructure by public Titsa and other transport is also relatively good. Property investment Tenerife 2007 was much talked about. There was speculation that prices had to drop. They did but, not because of rising mortgage rates but because of a sudden huge offer of real estate. And now in July 2012, discover lowest interest rates amongst other for Tenerife mortages since the introduction of the Euro. This will also help new owners to pay back the banks on fixed terms while waiting for sales' values to rise again. Meantime prime properties are on the market, as usual. When a Tenerife property is a so called 'key property ' investing in it is absolutely safe. It will always fetch a good sales price. Why? Quality property with good location is something that is not found that easily. And property value doesn't depreciate on principle. It's bound to pick up due to inflation alone, unless badly maintained. Besides, crime is very low in Tenerife. Security is something that is important when investing in real estate anywhere. From beginning of July to middle of August 2008 I had 3 interested parties for my little penthouse in Realejos near Puerto de la Cruz. The total area is about 130 m2 with a veranda open on 2 sides of almost 80 m2. I am convinced it would have fetched Euros 135 000 without sweat because. the view is almost panoramic and unbeatable for the region. Point being was that I didn't want to sell. So much to bad times for real estate Tenerife. Property investment Tenerife which is part of the fortunate islands will not change because of the island's location (200 miles off west coast Africa/Morocco) and, therefore the Tenerife sun. Its winters are mild, as we all know. That's important for health for the elderly to start with. It is also known that especially the black Tenerife beaches in north and south with their lava sand relieve rheumatic pains. Claude's retirement advice for Tenerife as top property investment destination with many links of stories by happy foreign pensioners, retires and expats. By the way, there is a new property law Spain and Tenerife, especially interesting for pensioners with a good legitimate way to leave our holiday home in Tenerife cheap to our loved ones. This is a great plus for property investment Tenerife. Property investment Tenerife will always be leading compared to other European property investment for countries in the sun. Except perhaps when we look at beautiful Majorca. Majorca which is even faster to reach from major European airports is one of the top runners up. But, the weather is relatively cold there in winter. They had some snow beginning of March 2008 in Palma by the beach after a short warm spell. Also, this island which is almost double as big as Tenerife is not everybody's cup of tea. It's high life on beaches is unbeatable as shown by the movie 'Ballermann'. Those who like it may invest there, although it's more expensive. Renting out will always be good. Who wants to live in Majorca also has the option to search for rural property to buy. If all fails, there is a waxy product called Oropax which is used to stuff our ears. I love Portugal. I probably would look for the cooler areas above Cascais and Estoril which are close to the capital Lisbon to stay there myself for longer periods. But I wouldn't go as far as Sintra. However, I know that winters can be whet and a bit cold. Nevertheless, it would be worth to think about it. I would only go to the Algarve for vacations. Lets compare property investment Tenerife to property investment of mainland Spain . I, absolutely, adore Spain, which would be one good reason for investing there. But, it's also a question of property finance. Many of my Spanish friends from mainland Spain told me what real estate prices are like in their country. Believe me because, I have been there looking around also; it is more expensive. And that's what all my friends are confirming. There are hardly any areas except for remote inland regions that are not touristic either. But, inland you are more cut off than in Tenerife. Cities' property prices are high, very high. The only town in Spain whose price per m2 is slightly more than the average price in Tenerife is Murcia. In 2001, I have lived in a little town called Tormos, half an hour by car from Alicante, Denia, Javea and other places. One public bus per week was all they had to get you away from that village. This is not uncommon in Spain. From what friends tell me it has not changed. Many mainland Spaniards are firm believers in property investment in Tenerife. Tenerife is especially very much thought after by young couples despite augmented interest rates for Tenerife mortgages. I know because, I had 3 offers to buy with an increase of EU 5000 between the last two for our little studio in Los Realejos, which by the way were all geared towards property investment Tenerife. That was between April and September 2007. A friend of mine just sold her spacious apartment with separate bedroom for EU 90000 in a good area in Los Portreros of Los Realejos, North Tenerife. She sold to young Spanish people, who wanted to live in it themselves. She could have gotten more if she had not been in such a hurry. Starting off with small properties has become a philosophy in real estate investment in Spain. 'To buy studios in Tenerife' has become a motto for first time buyers which are often the young local people. The problem with them since 2008 is that they can only get a 70% mortgage. They seldom have cash to pay up front for the rest. This and mortgages with stricter prerequisites and strings attached are part of the the reasons that much real estate is on the market, now. And, this situation is almost global. Well, the Portugal Algarve is definitely one of the best places for beach holidays. But, it's small. I've lived there for a little while. Believe me, the size has not changed. The road going up to Lisbon, nowadays? Most of it is a toll road now. So, that's progress. Touring companies with cheap frequent flights and travel package deals compete with private investors, who want to let holiday homes. But here again, investing in quality property always gives good dividends in Portugal as well as in Tenerife. Comparing property investment Tenerife to the rest of Portugal is not easy for me, nowadays. Here, I am undecided, although, I know that winters are whet and can get rather chilly in Portugal. Better than the north of Europe... But, the north of Europe gives us more quality housing, in general. It is better equipped for winters. However, you don't really need heating in Tenerife unless you move up the slopes. Therefore, one more plus point for property investment Tenerife. How does the south of France fare compared to property investment Tenerife? We all know that Monaco is tops when you can afford it. That also applies to most other areas in the South of France. I would not mind to live there. It gets much colder in winter than in Tenerife, however. Living in France is much more expensive than on all Canary Islands, though. What about Italy or the South of Italy? It is beautiful. So is the whole region by Lake Como or Lake Lago Maggiore Italy with all the other lakes. Be my guest to invest there. But, it sure is not cheap if you want quality. Now, compare property investment on Thor Heyderdal's chosen island to upcoming investment heavens like Bulgaria... What do you think, the situation looks like there? Is there infrastructure? Don't ask me... What is the culture with its religion like and what about entertainment, health care, shopping and so forth? A friend of mine has spent a two week holiday there last year. The landscapes are beautiful, but he couldn't stomach the poverty. And, too much is being built there, too much. Too much construction too fast isn't good any way and, winters are cold in Bulgaria. How will renting out facilities be in a country that needs much general improvements? It might become competitive one day, we cannot read the future. I for my humble self would not take that chance. But, for the purpose of renting out to tourists only, even Bulgaria may be a good investment. Again, please come forward and tell me what you think about investing in the Balkans... Read up on history of Balkan countries... I for my part wouldn't invest in a country, where women have to cover their heads. I would also be cautious, if I wasn't familiar with Islam politics. With property investment Tenerife you will always know where you stand. Culture and events will not stop. The Tenerife luxury hotel will always fill its beds. Tenerife tours are internationally popular. Tourism Tenerife has a steady good track record. Only licenses for luxury holiday accommodation are officially granted from now on. Meantime, a healthy buying and selling keeps a good turn-over in the property market. Demand will always be outstanding in Tenerife just like in Majorca. Oh, and that would and will push Tenerife real estate prices sky high. There is an acute shortage for rental in Tenerife and prices have gone up very much accordingly. That's one more good reason to invest. As far as general tax laws are concerned a good accountant is important for the future of property investment Tenerife. Tax laws change by the year in Tenerife/Spain. It is impossible to know the latest. Only experts do. Besides the calculation, such as ITP or any other tax is not so easy, as it's generally calculated on the "Base imponible". Also exemptions may apply. Spain residence with property investments from €250000 apartments onward which however may be subject to change. Also read another article why Tenerife is so versatile besides investing in property. From property investment Tenerife back to real estate in Tenerife with glossary and more than 30 important links and news for the property investor.